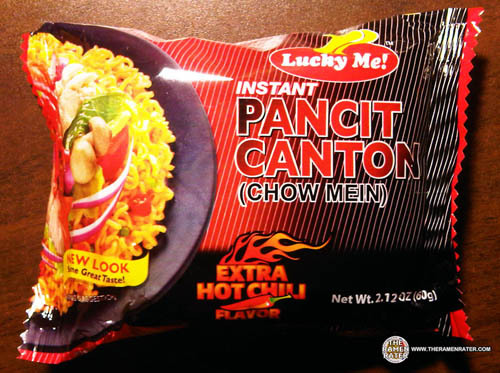 This entry was posted in * Stars 4.1 - 5.0, Chicken, Nissin, Philippines and tagged 3146, 4800016551864, 800016551864, filipino, nissin, pancit, pancit canton, philippines, robina, spicy chicken, The Philippines, universal, yakisoba on April 12, 2019 by Hans "The Ramen Rater" Lienesch. 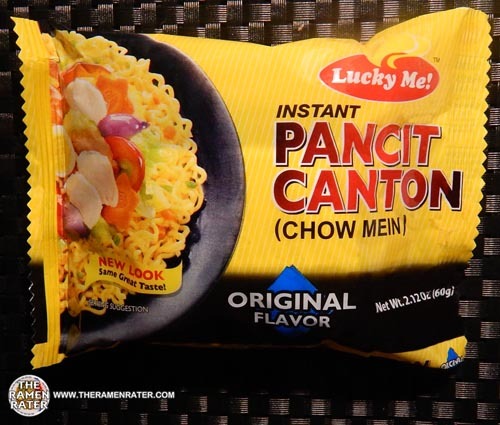 This entry was posted in * News / Noodle News, Lucky Me!, Payless, Philippines, Quickchow and tagged calamansi, chilimansi, chow mein, extra big, filipino, filipino noodles, kalamansi, lucky me, lucky me!, monde nissin, nissin monde, pancit, pancit canton, payless, philil, philippines, philippines noodles, pinay, pinoy, quickchow, top ten fil, top ten filipino, top ten philippines, toyo-mansi, xtra big on February 5, 2018 by Hans "The Ramen Rater" Lienesch. 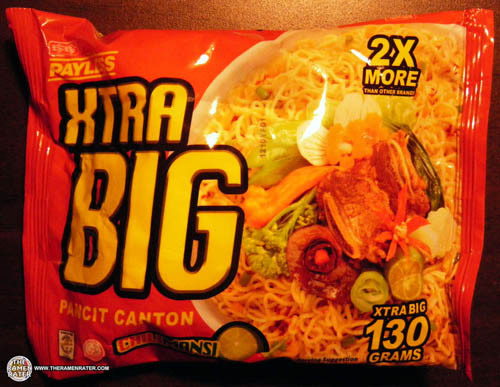 This entry was posted in * Meet The Manufacturer, * Stars 4.1 - 5.0, Lucky Me!, Nissin, Other, Philippines and tagged 4 807770 270055, 4807770270055, 807770270055, chow mein, filipino, lucky me!, meet the manufacturer, monde nissin, original, pancit, pancit canton, pansit, philippines on November 22, 2014 by Hans "The Ramen Rater" Lienesch. 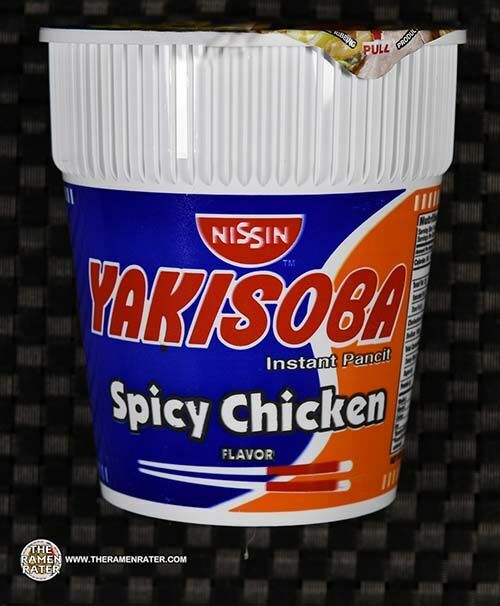 This entry was posted in * Meet The Manufacturer, * Stars 3.1 - 4.0, Lucky Me!, Nissin, Other and tagged 4 807770 270291, 4807770270291, 807770270291, chili, chilimansi, citrus, filipino, kalamansi, lucky me!, pancit, pancit canton, philippines, pinoy on November 17, 2014 by Hans "The Ramen Rater" Lienesch. This entry was posted in * Stars 3.1 - 4.0, Lucky Me!, Other, Philippines and tagged 1128, 4 807770 272547, 4801110272547, bihon, Instant, kalamansi, lime, lucky me!, monde nissin, pancit, philippines, special, The Philippines on August 2, 2013 by Hans "The Ramen Rater" Lienesch. 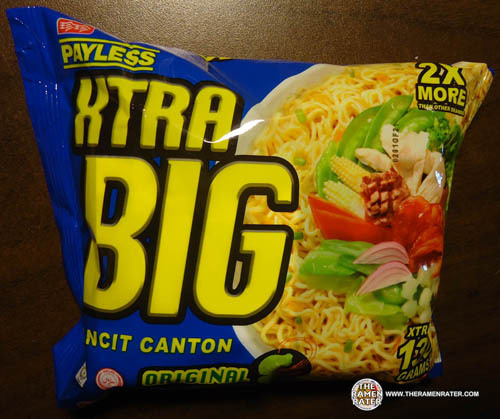 This entry was posted in * Stars 4.1 - 5.0, Other, Payless, Philippines and tagged 4800016555992, 800016555992, 98026, asian, asian instant noodle soup, big, bowl noodle, buckwheat, canton, cavender's, chinese, chow mein, dua belibis, dua belibus, edmonds, eggs, filipino, flavor, fried noodle, hans lienesch, indomie, instant noodles, instant ramen noodles, japanese, korea, korean noodles, lienesch, maruchan, mi goreng, nissin, noodle, northwest, original, pancit, pancit canton, payless, payless pancit canton, pihilippines, pinoy, ponpoko, Ramen, ramen blog, ramen blogger, ramen rater, ramen recipe, ramen review, ramen reviewer, ramen reviewers, ramen reviews, ramen video, ramenrater, ramenrater.com, ramyeon, ramyun, rater, rating, ratings, review, reviews, saifun, saimin, seattle, shin ramyun black, soba, soup, spicy ramen, tanuki, tempura, thai, the ramen rater, the ramenrater, theramenrater, theramenrater.com, top ramen, udon, united states, usa, washington, wheat, wheat noodle, xtra, xtra big, xtrabig, yakisoba on August 18, 2012 by Hans "The Ramen Rater" Lienesch. 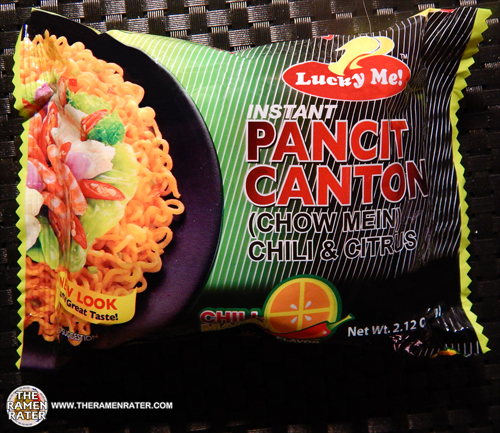 This entry was posted in * Stars 3.1 - 4.0, Lucky Me!, Other, Philippines and tagged 98026, asian instant noodle soup, canton, chili, chinese, chow mein, edmonds, eggs, filipino, fried noodle, goreng, hans lienesch, hot, indomie, instant noodles, instant ramen noodles, japanese, lienesch, lucky me!, northwest, pancit, philippines, pinoy, Ramen, ramen blog, ramen blogger, ramen rater, ramen review, ramen reviewer, ramen reviewers, ramen reviews, ramen video, ramenrater, ramenrater.com, ramenreview, rater, rating, ratings, review, reviews, seattle, spicy, thai, the ramen rater, washington, west coast, wheat noodle on December 4, 2011 by Hans "The Ramen Rater" Lienesch. 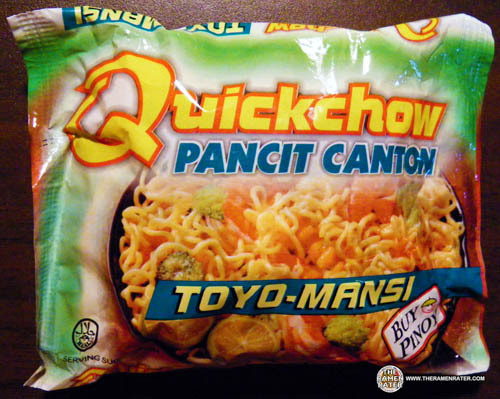 This entry was posted in * Stars 4.1 - 5.0, Other, Philippines, Quickchow and tagged buy pinoy, canton, chow, edmonds, filipino, filipon, fried, fried shallot, ginger, hans lienesch, indomie, kizami shoga, liebesch, lienesch, mansi, mi goreng, northwest, pancit, pancit canton, philippin, philippine, pickled, pickled ginger, pihlippines, quick, quick chow, quickchow, Ramen, ramen blog, ramen blogger, ramen rater, ramen review, ramen reviewer, ramen reviewers, ramen reviews, ramen video, ramenrater, ramenrater.com, ramenreview, rater, rating, ratings, review, reviews, seattle, shallots, the, the ramen rater, toyo, toyo-mansi, washington, west coast on June 18, 2011 by Hans "The Ramen Rater" Lienesch. 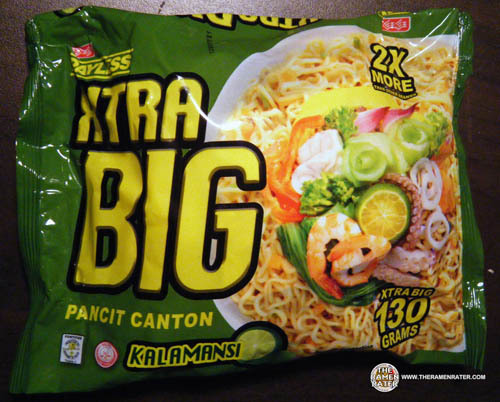 This entry was posted in * Stars 3.1 - 4.0, Other, Payless, Philippines and tagged 4800016555985, 800016555985, boiled, canton, chilimansi, eggs, filipino, hard, kalamasni, mansi, pancit, payless, philippines, ram, Ramen, ramen rater, ramenrater.com, rater, the, the ramen rater on April 19, 2011 by Hans "The Ramen Rater" Lienesch. 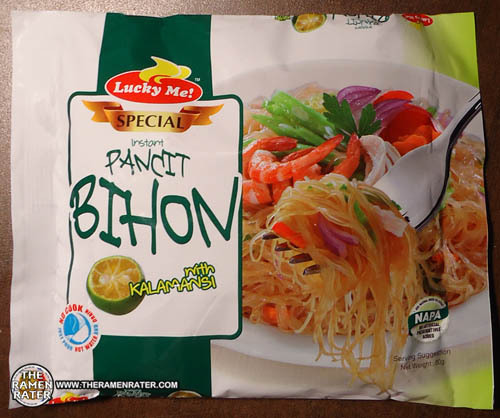 This entry was posted in * Stars 4.1 - 5.0, Other, Payless, Philippines and tagged 4800016556517, 800016556517, big, bihon, canton, cantonese, chili, chilimansi, china, eggs, excellent, filipino, fong, fried, ginger, goreng, huy, indofoodsm infofoods, indomie, indonesia, kizami, less, mansi, mi, original, palabok, pancit, pay, pay less, payless, payless. pay. 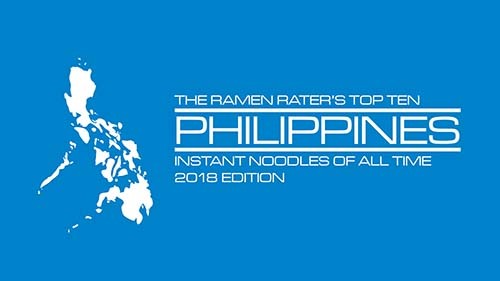 less, philippines, pickled, Ramen, ramen rater, ramenrater, ramenrater.com, rater, shallot, shallots, shanghai, shoga, sriracha, the, the ramen rater, xtra on April 2, 2011 by Hans "The Ramen Rater" Lienesch. 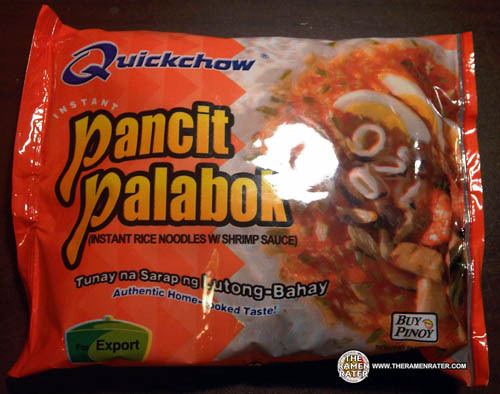 This entry was posted in * Stars 2.1 - 3.0, Philippines, Quickchow, Seafood and tagged dry, meh, Noodles, palabok, pancit, philipines, pinoy, quickchow, re-review, rice, shrimp on November 27, 2010 by Hans "The Ramen Rater" Lienesch. 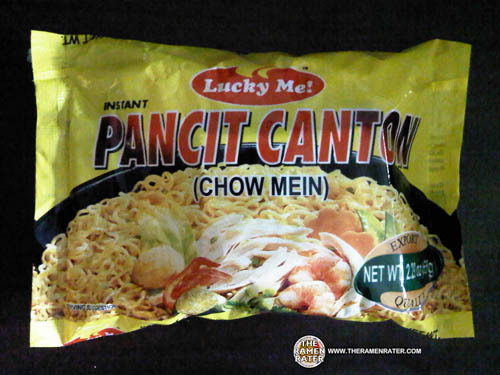 This entry was posted in * Stars 4.1 - 5.0, Lucky Me!, Other, Philippines and tagged canton, chow, excellent, goreng, lucky me, mein, mi, pancit, philippines, small on September 29, 2010 by Hans "The Ramen Rater" Lienesch.